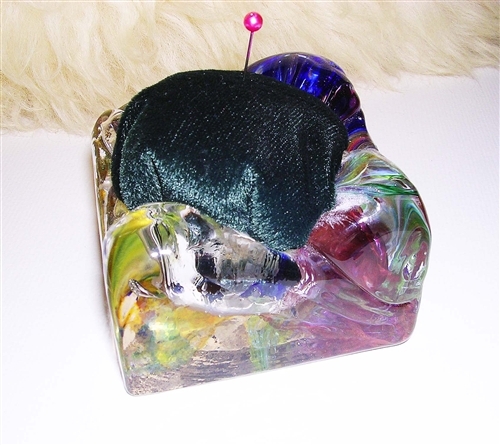 Our pin cushions are blown glass of various colors. Mingo does the blowing and Asho blends the colors of glass to create these beautiful works of art. The cushions are of velour.